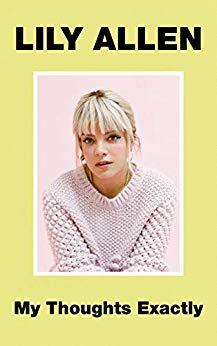 ‘My Thoughts Exactly’ is Lily Allen’s autobiography. I’m not the biggest fan of Lily Allen. I’ve never bought any of her music but I did see her at Oxygen one year and enjoyed bopping along to her hit song, ‘It’s Not Fair’. I was curious to read her autobiography, as I heard much talk of the content and I was wondering what made her do the things that people mentioned. So, I spent most of Christmas with my head in the book, absorbed in her world and finding out what made her the woman that she has become today. This book is a honest reflection of growing up in the limelight, as well as struggles with mental health. From an early age, Lily explained her struggles with security as both her parents were either away working or socialising so Lily spent most of her time being pushed from pillar to post. She speaks candidly about her journey to becoming a pop star and the trials that she faced along the way, the pressures of the paparazzi, social media as well the struggles of maintaining relationships in the public eye. Her wit and charm radiates from the page and her words occasionally make for poignant and reactive reading, as she speaks honestly about her battles with drink and drugs as well as her breakdowns, and she approaches some of the harder topics in a lighter tone as if to lessen the blow for the reader. ‘My Thoughts Exactly’ is a blunt and emotional eye opening account of the pressure of being one of England’s most influential singers. Riddled with drama and darkness, this book is an explosive insight into the pressures of being a young woman in a celebrity world and the problems that she faced when she was at her most successful. You can buy My Thoughts Exactly from Amazon and is available to buy from good bookshops. ‘Watching You’ is the latest book by ‘Sunday Times’ bestselling author, Lisa Jewell. You’re back home after four years working abroad, new husband in tow. You’re keen to find a place of your own. But for now you’re crashing in your big brother’s spare room. That’s when you meet the man next door. He’s the head teacher at the local school. Twice your age. Extraordinarily attractive. You find yourself watching him. All the time. But you never dreamed that your innocent crush might become a deadly obsession. Or that someone is watching you. 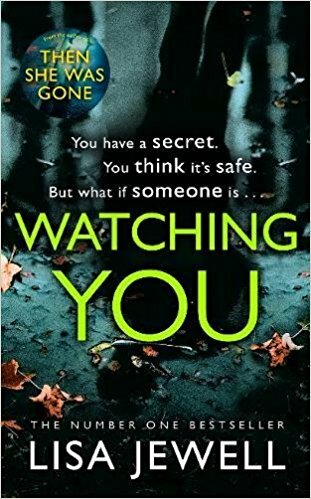 With a title called ‘Watching You’, I knew the latest book from Lisa Jewell would be a dark read, but nothing quite prepared me for the sinister twist to the tale that chilled me on the final page. The story is primarily through the eyes of Joey, Jenna and Freddie, all people who keep a close eye on their community. Joey has recently moved back home from Ibiza with a new husband in tow. She’s trying to settle down to the quieter pace of life, but finds herself distracted from the handsome headteacher who has just moved into the area and has turned the heads off quite a few people. Jenna lives alone with her single mother who’s convinced someone is watching her. Jenna has to be adult of the family and deal with her mother’s paranoia, as well as look out for her best friend who has developed a crush on the new headteacher whilst Freddie, the son of the new principal, enjoys nothing more than observing and recording world around them. He knows a different side to his father and is tired of seeing people in awe of this supposedly charismatic man. Since ‘The Third Wife’, I have found that Lisa’s books get considerably darker and I thought ‘Then She Was Gone’ was dark but then I read this and thought, wow this is twisted. The story starts at the present moment, when a body is found and sets the scene perfectly as it backtracks through the narrative of the three main characters all with different perceptives of the situation and the people involved. The different perspectives are a clever addition to the tale and give an interesting slant to story, keeping the reader on their toes. 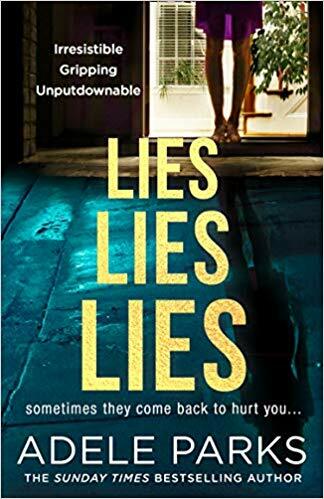 For me, I found the characters to be suspicious and regularly found them to be quite untrustworthy at times and this really keeps the reader absorbed as secrets and situations are revealed. I was so fortunate that I had a day off work so I could absorb myself in this book as it really did need my undivided attention. A taunt thriller filled with paranoia, suspense and plenty of untrustworthy characters, ‘Watching You’ is a claustrophobic and dark story that will have you looking at your neighbours in a new light. Like a fine wine ageing, Lisa just gets better and better with each book. You can buy Watching You from Amazon and is available to buy from good bookshops. I was so excited to see Lisa Jewell tweeting about her new book for 2018 called ‘Watching You’, that I just had to share the news. Family secrets, illicit passion and an unexplained murder? It can only be the gripping new novel from Lisa Jewell. You can pre-order Watching You from Amazon and will be available to buy from good bookshops from 12th July 2018. 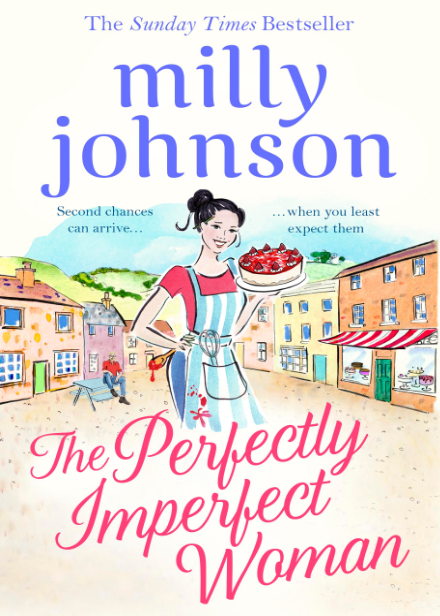 One of my favourite authors Milly Johnson is back with a new book, called ‘The Perfectly Imperfect Woman’. Marnie Salt has made so many mistakes in her life that she fears she will never get on the right track. But when she ‘meets’ an old lady on a baking chatroom and begins confiding in her, little does she know how her life will change. Arranging to see each other for lunch, Marnie finds discovers that Lilian is every bit as mad and delightful as she’d hoped – and that she owns a whole village in the Yorkshire Dales, which has been passed down through generations. And when Marnie needs a refuge after a crisis, she ups sticks and heads for Wychwell – a temporary measure, so she thinks. Milly is back with another sparkly, magic story that will grip your heart and attention from the very first page. In this story we meet Marnie Salt, a young woman that bad luck seems to follow at every opportunity. Her adopted mother hates her and her sister doesn’t speak to her so when Justin Fox appears in her life, she thinks that’s she’s found happiness but she’s sadly wrong and find herself licking her wounds in Wychwell. After befriending a wise, outspoken old dear called Lilian on the internet, they become friends and Lillian takes Marnie under her wing and introduces her to all her friends in the small magical village of Wychwell. Even though the village is small, there are plenty of big personalities, some are delighted to see Marnie whilst others feel threatened by her, particularly when there men involved. I adored this book, it’s such a poignant tale filled with charming characters. I loved Marnie, she was such an underdog that I really felt an empathy for her. She was regularly let down by people and I longed for her to find her happy ever after. Lillian was wonderful, boisterous, outspoken, she felt a connection with Marnie and wanted the young woman with her. The main male was a delightful man called Herv, a kind and gentle soul that many woman lust after. The story is cleverly written and filled with Milly’s quick wit and warm heart. The only downside was that Marnie was a cheesecake maker and all the inclusion of delicious recipes made me so peckish throughout. Fun and entertaining from the very beginning, ‘The Perfectly Imperfect Woman’ was the perfect book to curl up with when the snow was ats worst, as this sweet tale warmed the cockles of my heart. You can buy The Perfectly Imperfect Woman from Amazon and is available to buy from good bookshops.